Why? So we can eat better, that’s why – apparently, hot animals eat less and, therefore, provide less meat and milk for us lucky omnivores. The guys and gals at the National Institute of Livestock and Grassland Science in Tsukuba are currently sticking cows in hot, humid boxes to figure out how they might act should the Earth warm up. 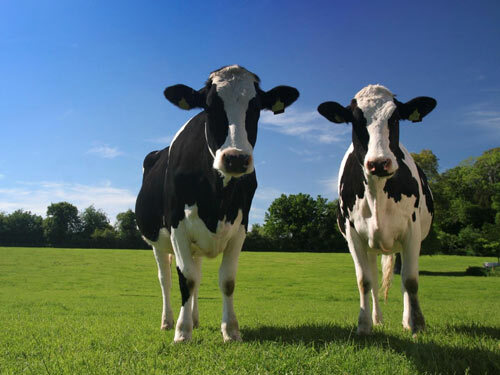 Still, it’s not all silly – the team is also working on new cattle feed that might stop cows belching (not farting – that’s a common misconception) tonnes of methane into the atmosphere and ruining the environment for all of us, dahling. “Burps by ruminant animals are believed to account for 4.5% of global greenhouse emissions,” says the Nikkei’s cow burp desk, and it should know.